unit (MCU) and dual LifeSize MicPods. The LifeSize Team 220 features high resolution, superior motion handling and low latency that makes it one of the most desired solutions in the HD video conferencing market today. The Team 220, like all of the LifeSize 220 series, offers natural, realistic interaction like you’ve never experienced over video before. Not only does the LifeSize Team 220 offer a superior quality video conferencing experience, but was also designed to be simple and easy to use. When interaction and data sharing must happen in real time, rest assured that the LifeSize Team 220 will enable collaboration simply and quickly. All products in the LifeSize 220 Series are interoperable with Microsoft Lync and LifeSize Connections, enabling you to connect from a Mac or PC to a meeting room or conference room system. 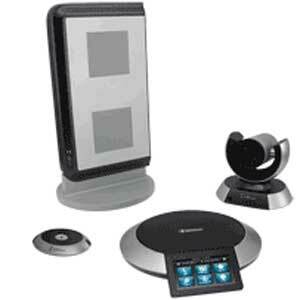 The LifeSize Team 220 is standards based and interoperates with all other standards based video conferencing systems. The LifeSize Team 220 also costs roughly one-third the purchase price of competitive solutions, boasting an effective return on your investment. VideoCentric are one of the UK’s most experienced video conferencing integrators and hold the highest possible accreditation level with LifeSize – they are only 1 of 2 partners in the UK to hold this expert level of accreditation. VideoCentric have developed a strong relationship with both LifeSize as a company and individuals within it, since it was founded in 2003. Both our Sales and Technical teams are trained at Expert level, and our extensive experience and knowledge of LifeSize Endpoints and Infrastructure has enabled us to provide support for a single system through to some of the most intricate and unusual video infrastructure set ups and integrations. 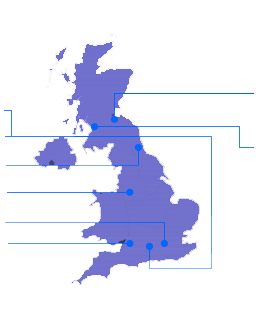 VideoCentric support Lifesize equipment within the NHS, and organisations such as The Financial Times and BRE.